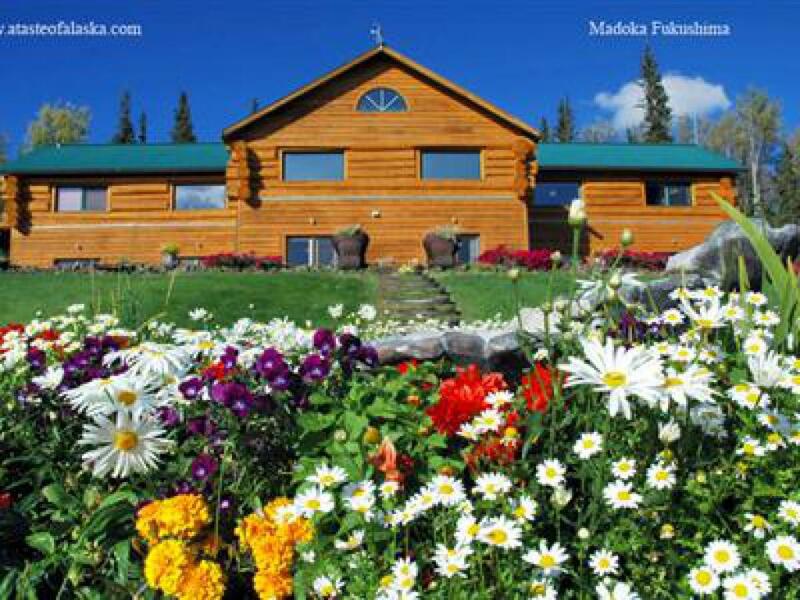 Retreat to the Cottage for a cozy accommodation unique to any other lodging in Fairbanks, Alaska. 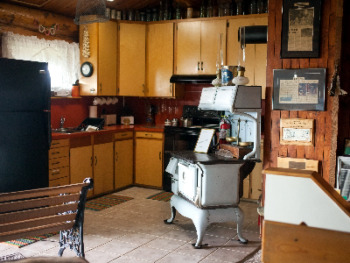 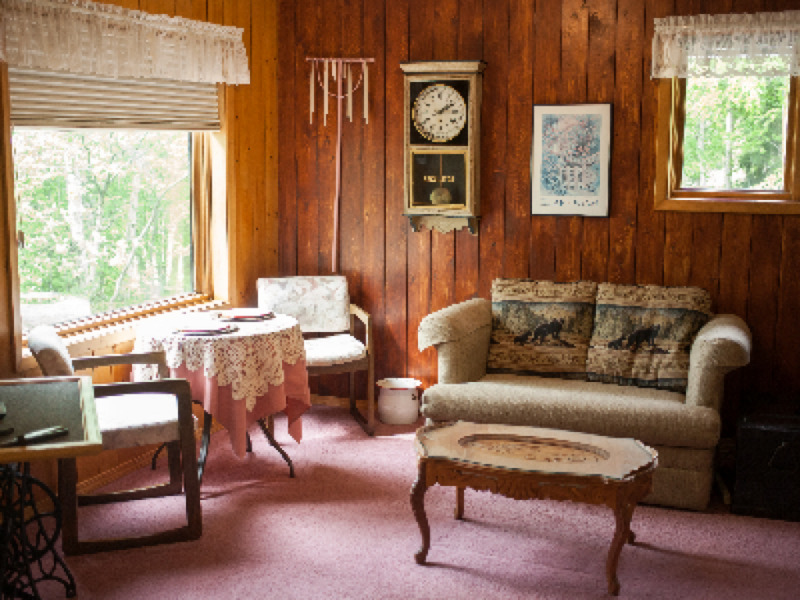 The Cottage features charming antiques and collectibles, along with modern comforts and conveniences. 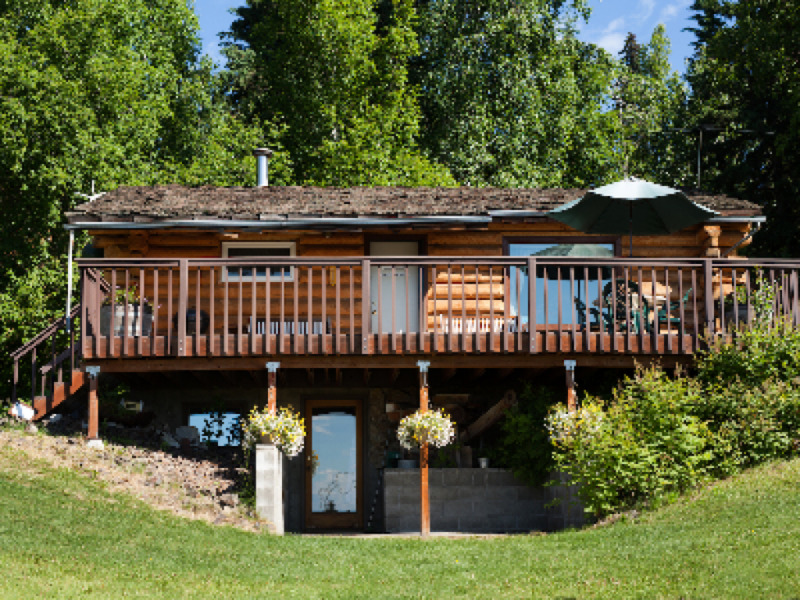 Enjoy cooking out on the deck during summer evenings or viewing the aurora borealis in winter. 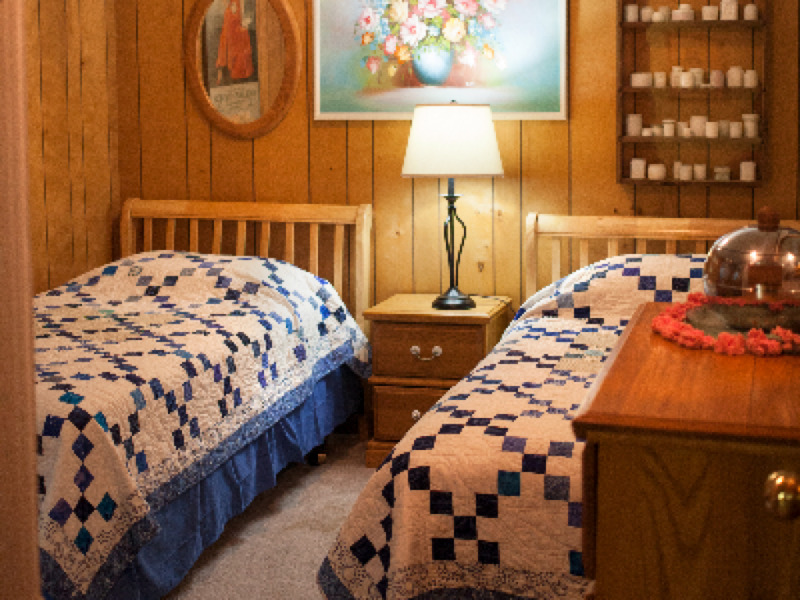 The electric fireplace is perfect for keeping warm and cozy inside, and the king-sized bed is sure to bring a good night’s sleep. 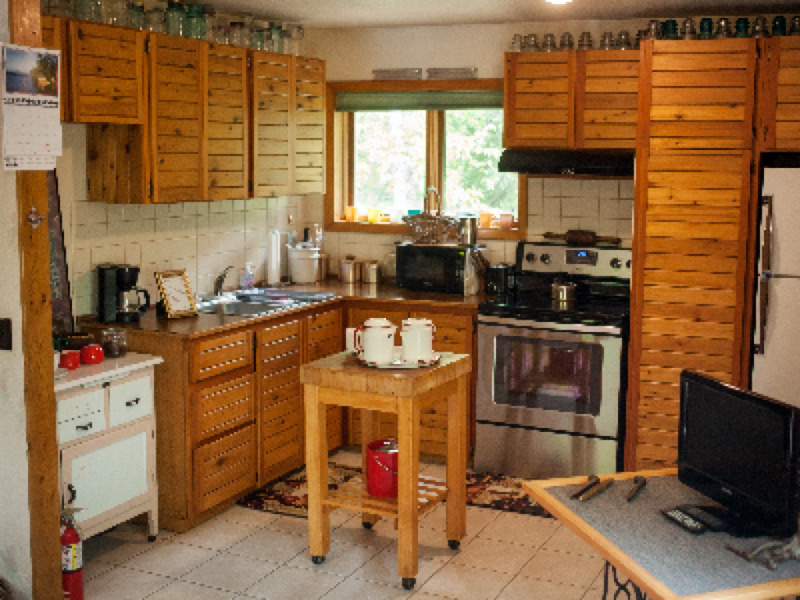 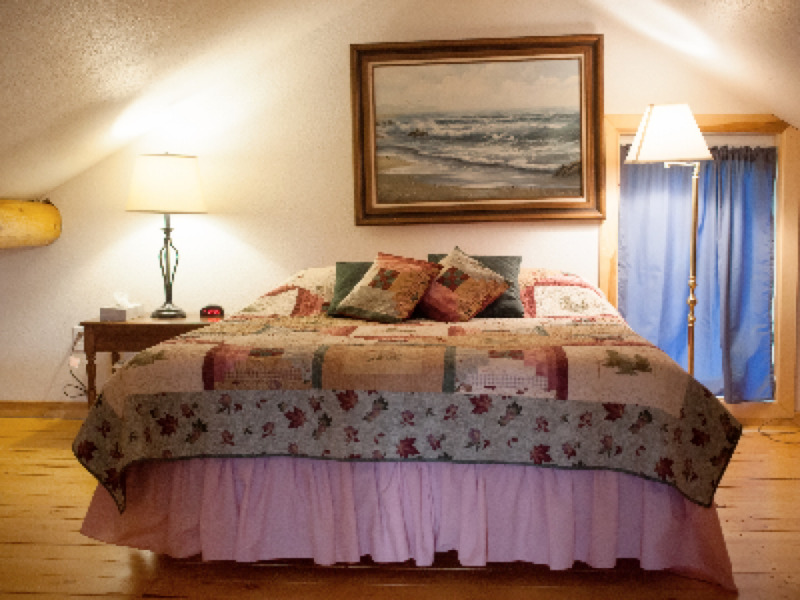 The Cottage is very popular among couples, and visitors enjoy its comfort and privacy. 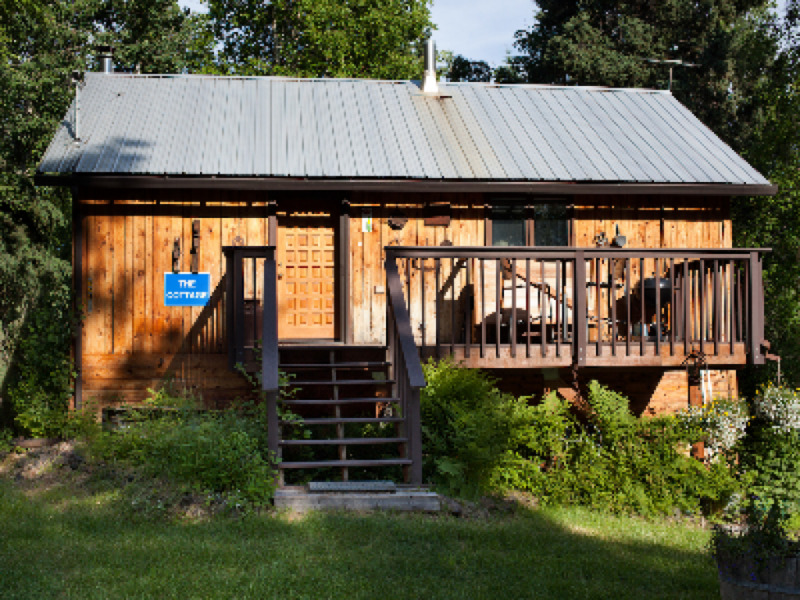 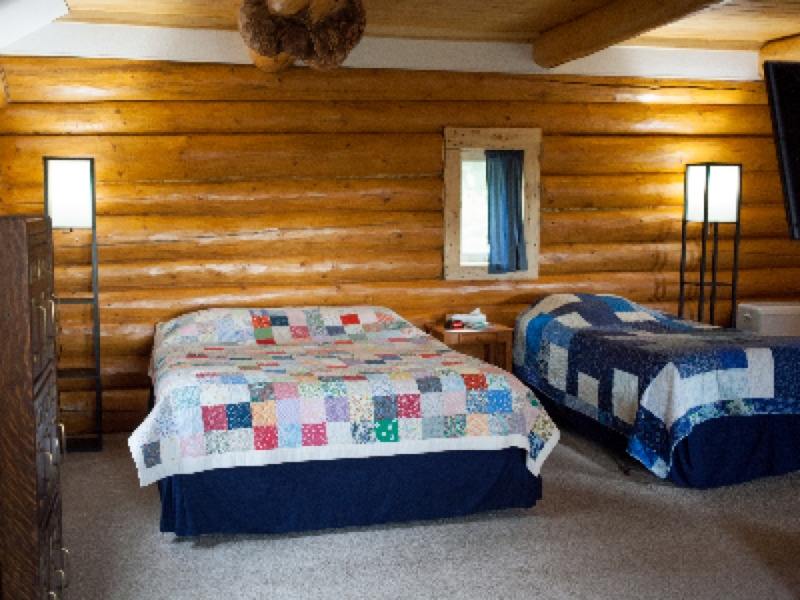 The main lodge includes a large family suite complete with a wheelchair accessible bathroom and shower. 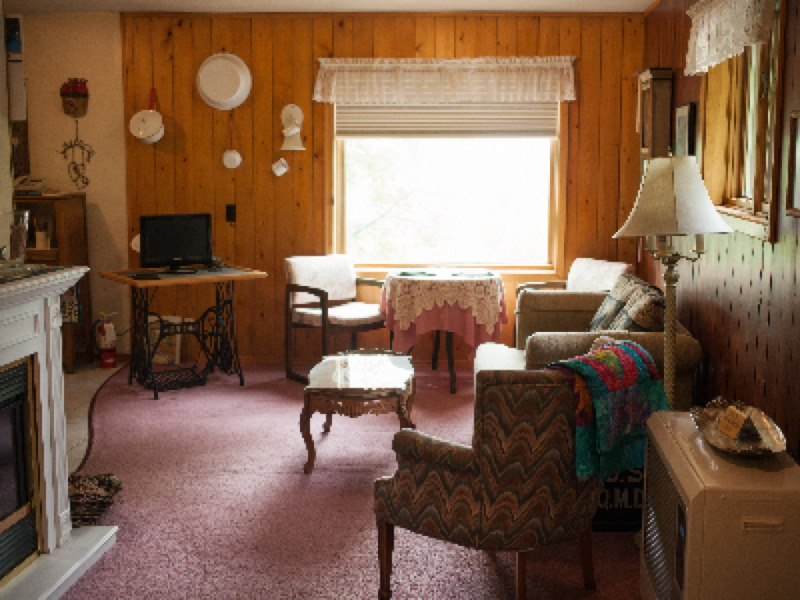 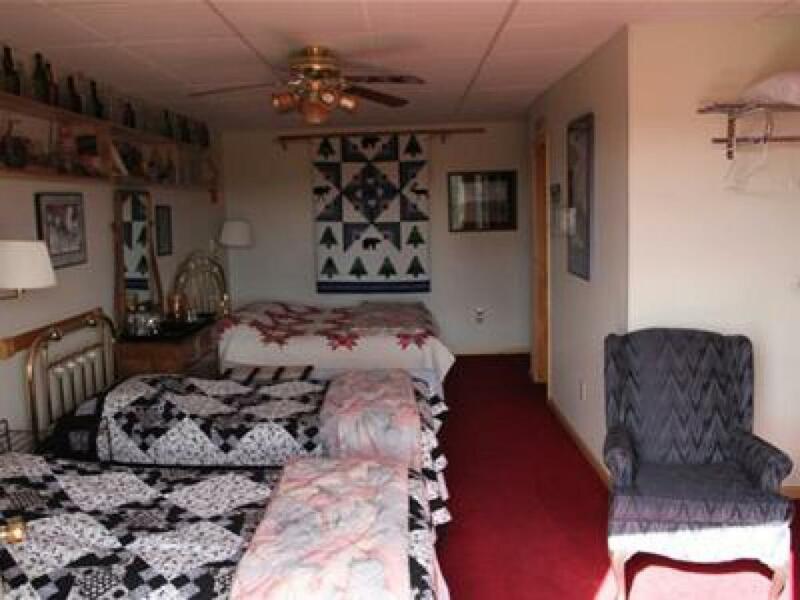 There is plenty of room to spread out, and breakfast will be a convenient few steps away. 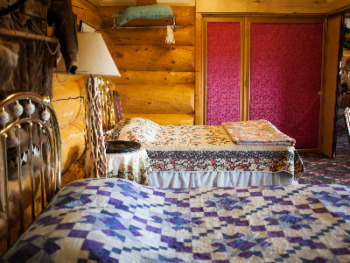 The accessible family suite includes handmade quilts on the beds and charming artifacts to relish, including souvenirs from past Iditarod races. 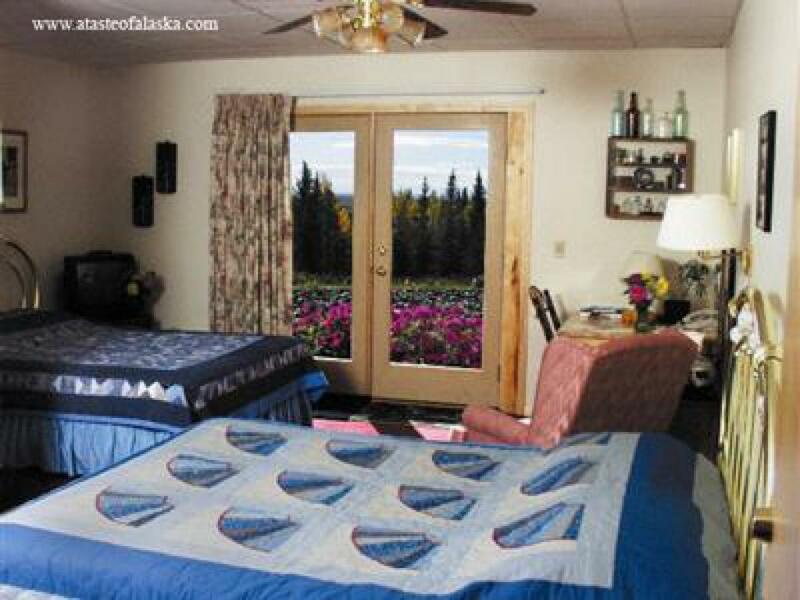 The large windows are perfect for viewing whatever the outdoors of Alaska may bring. 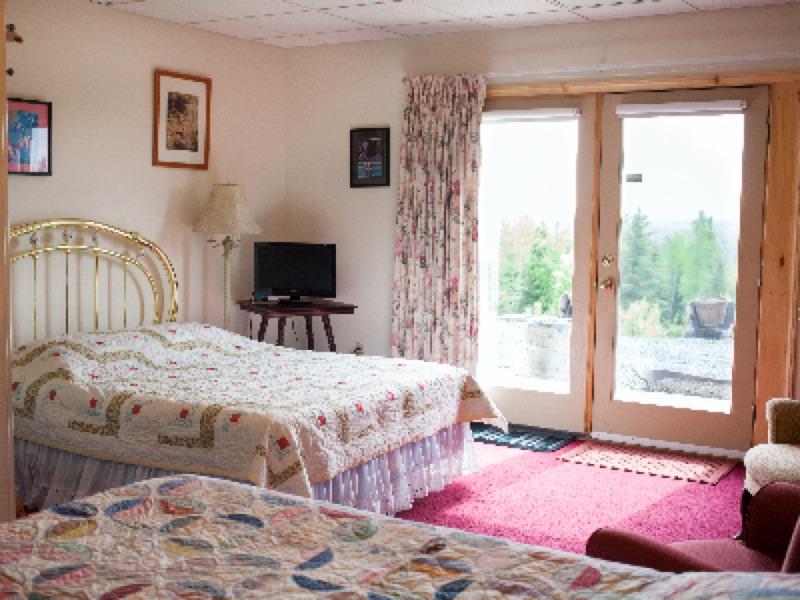 The Family Suite provides plenty of room for everyone to spread out and enjoy their own space in true bed and breakfast style. 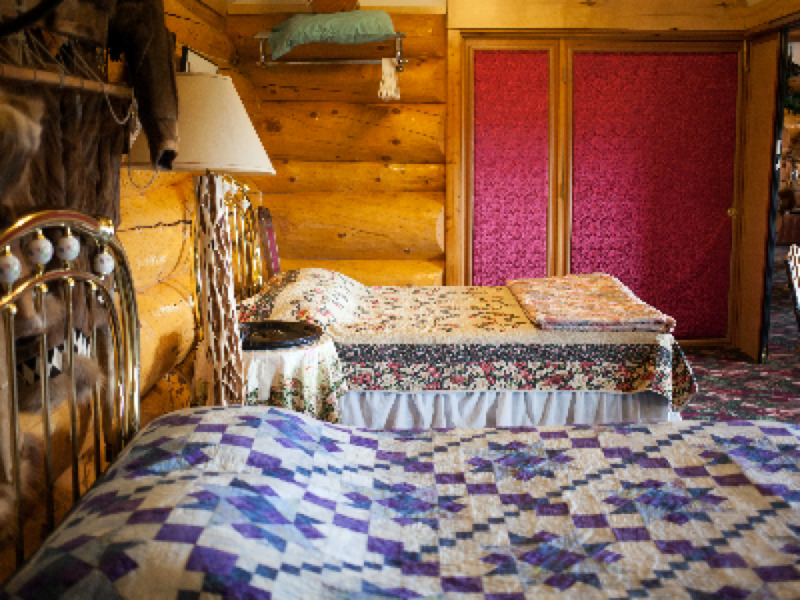 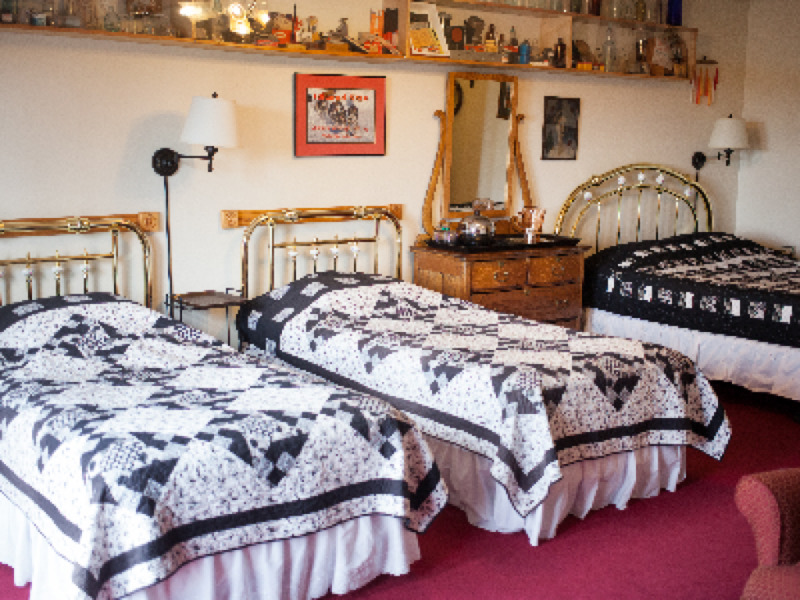 The beds are covered in handmade quilts, and guests relish the unique collectibles on display. 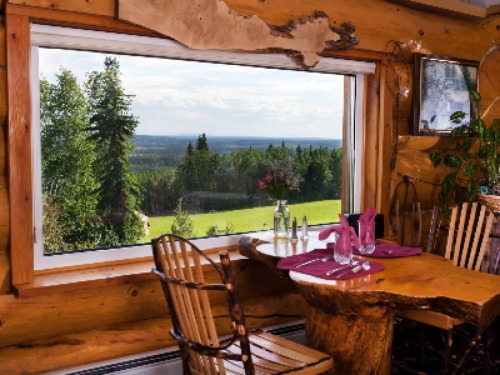 A truly enjoyable feature of this suite is the giant picture windows that offer a spectacular view of Fairbanks, Alaska wilderness. 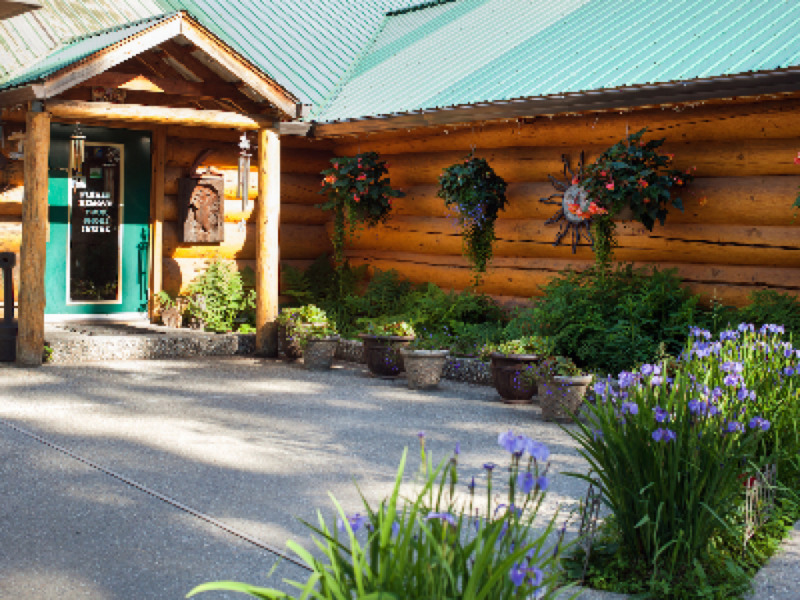 In the morning, step out into the main lodge dining room for a delicious breakfast and some hot tea or coffee. 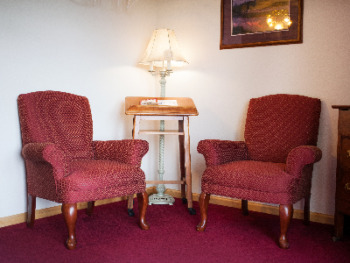 The private rooms within the main lodge are cozy and comfortable for two to four guests. 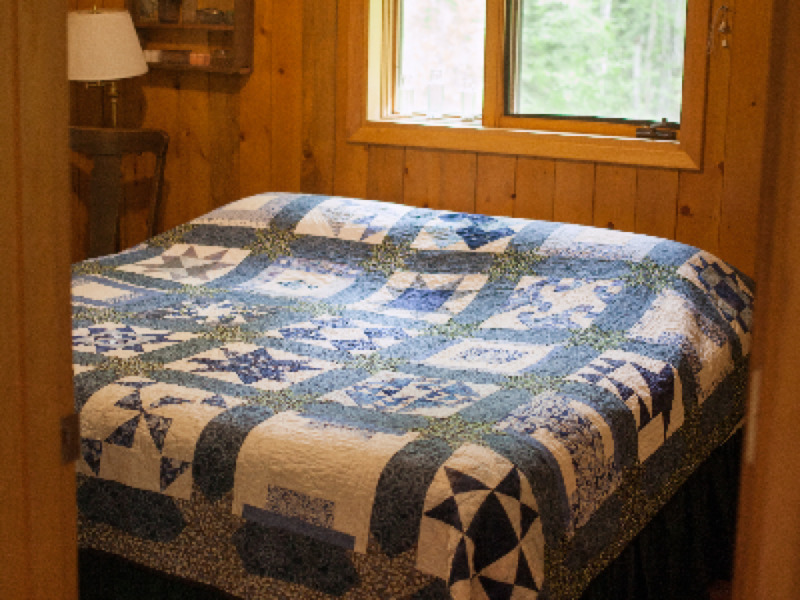 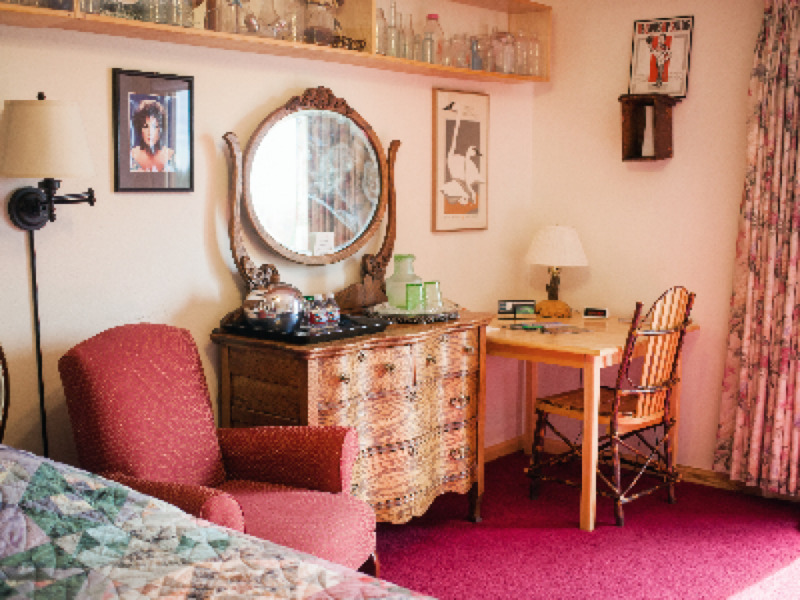 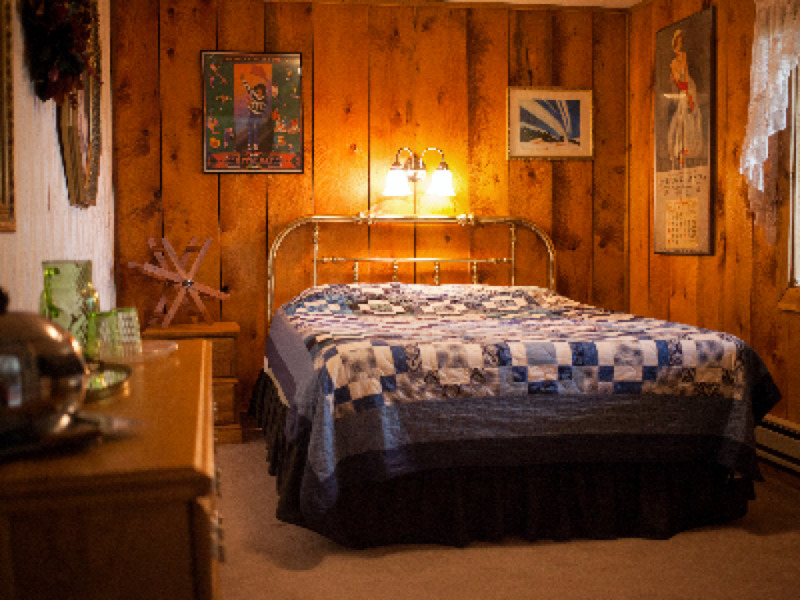 The rooms are adorned with special keepsakes and collectibles, and the beds are covered with handmade quilts. 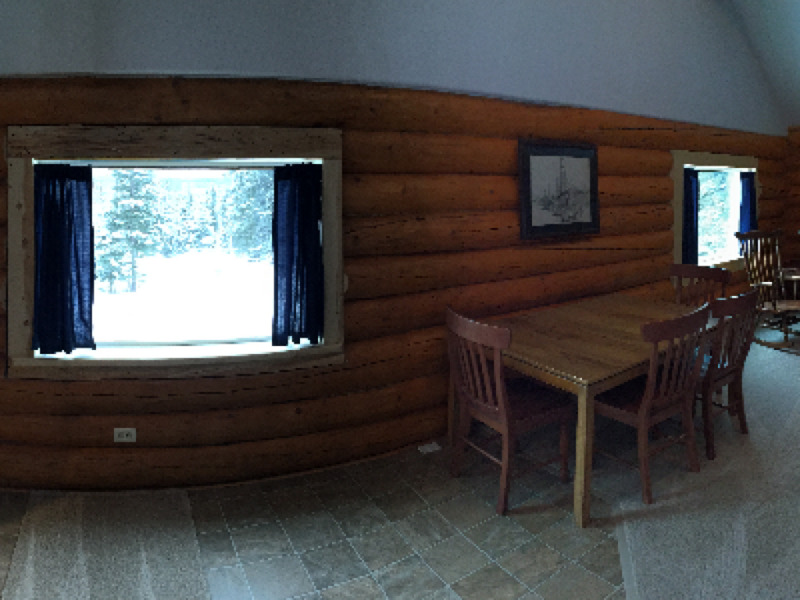 The windows offer gorgeous views of Fairbanks wilderness. 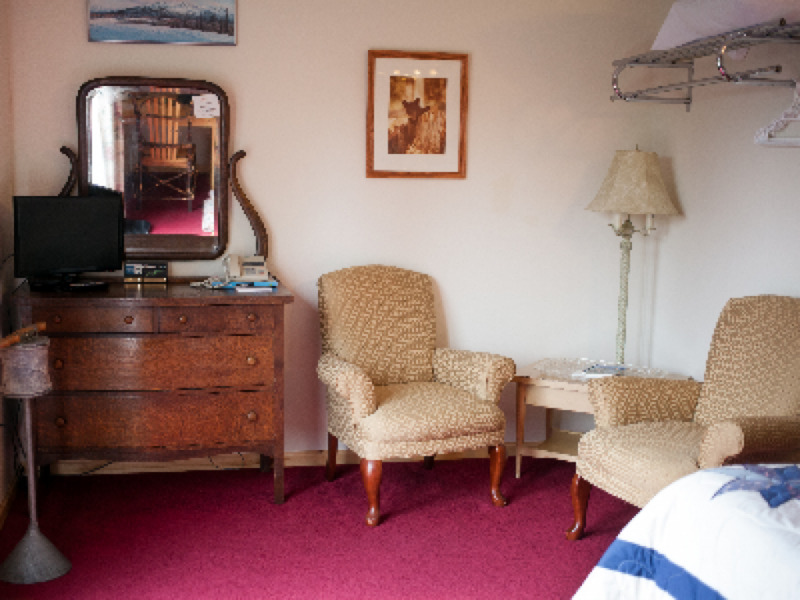 Guests will enjoy a private entrance to their room allowing easy access for Aurora viewing. 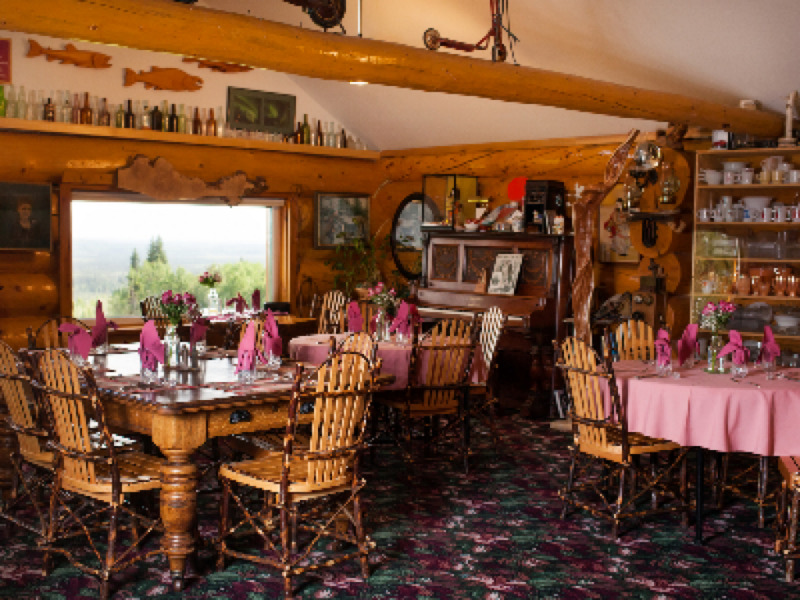 Wake up to a satisfying breakfast in the main lodge dining room in true Alaskan bed and breakfast style. 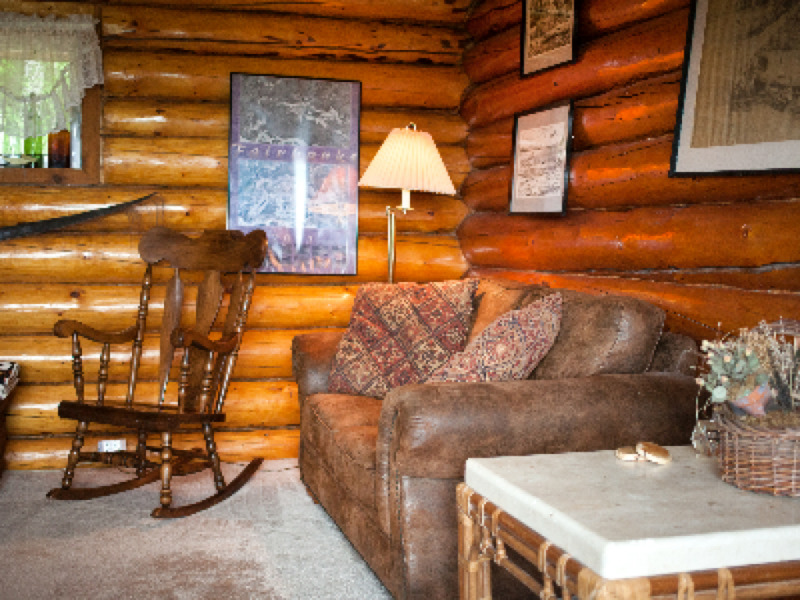 The private rooms within the main lodge are cozy and comfortable for two to four guests. 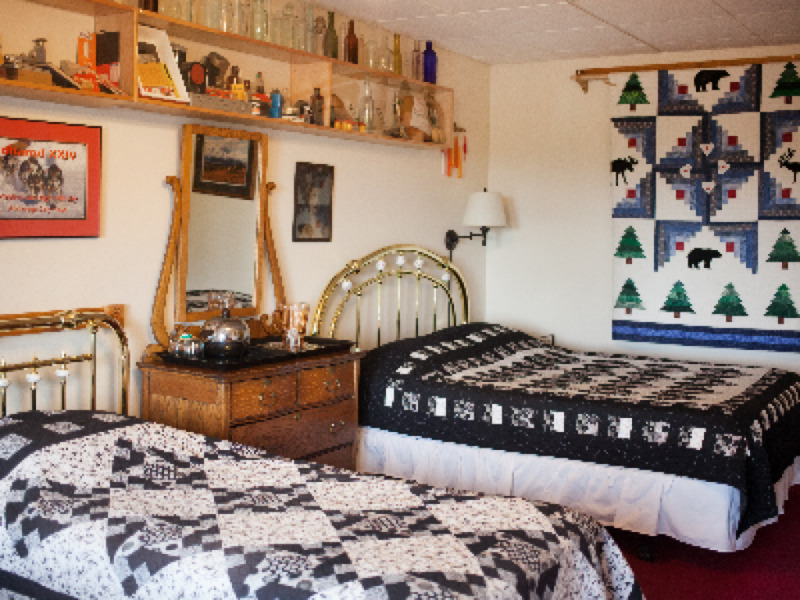 The rooms are adorned with special keepsakes and collectibles, and the beds are covered with handmade quilts. The windows offer gorgeous views of Fairbanks wilderness. 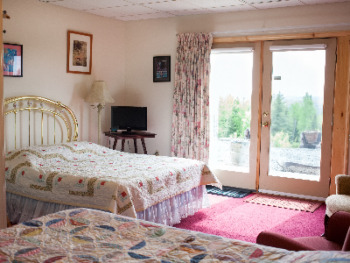 Guests will enjoy a private entrance to their room allowing easy access for Aurora viewing. Wake up to a satisfying breakfast in the main lodge dining room in true Alaskan bed and breakfast style. 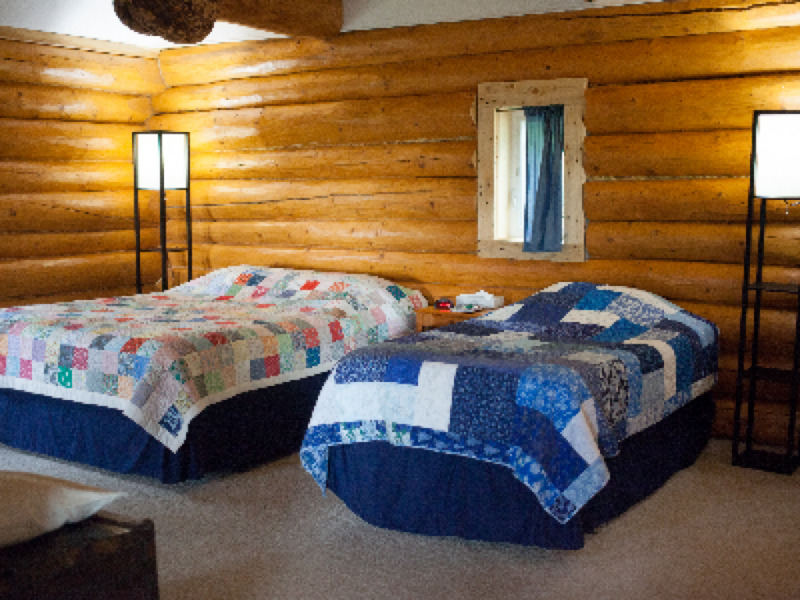 Room #6 has two twin beds and one queen bed. 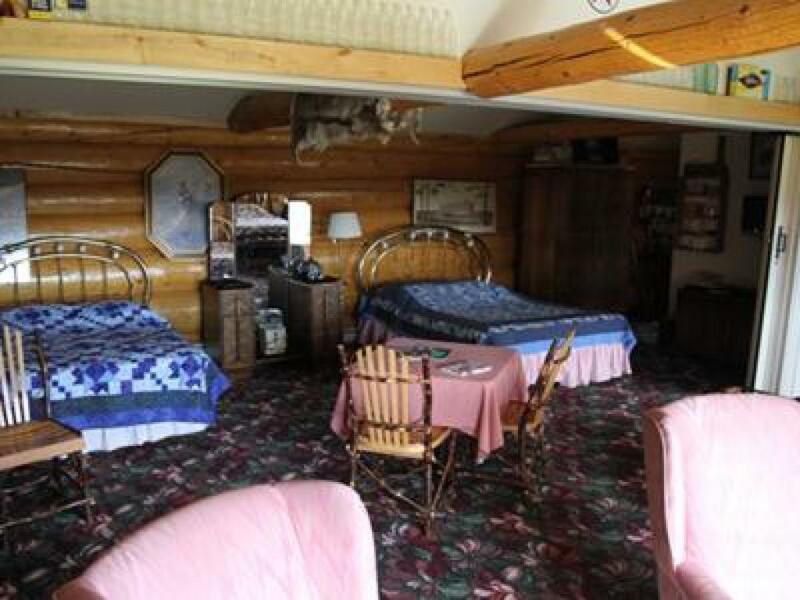 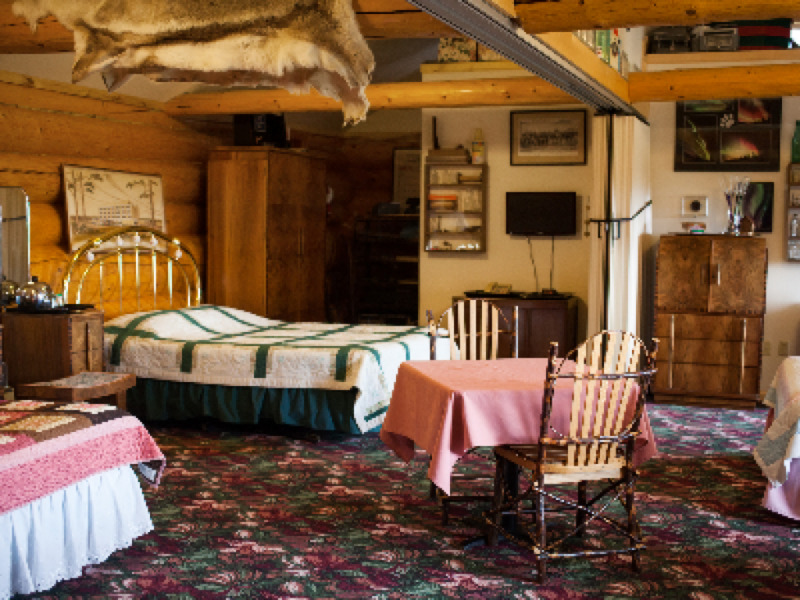 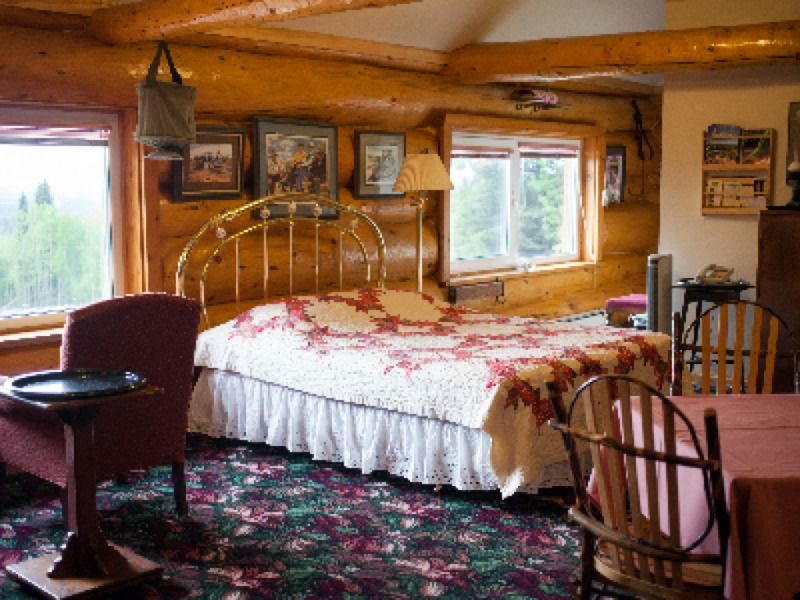 A private, two-bedroom structure, the Log House is a favorite among visitors to A Taste of Alaska Lodge. 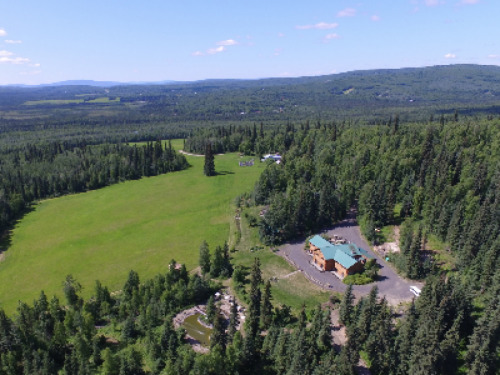 It sits alongside a 10-acre field and offers breathtaking views of the surrounding land. 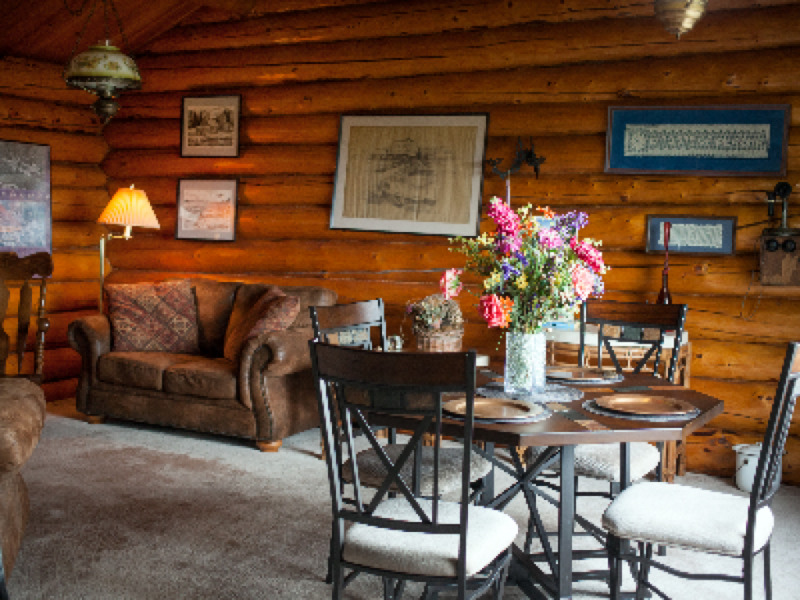 It is ideal for a family or couples traveling together, and it makes for a luxurious honeymoon retreat. 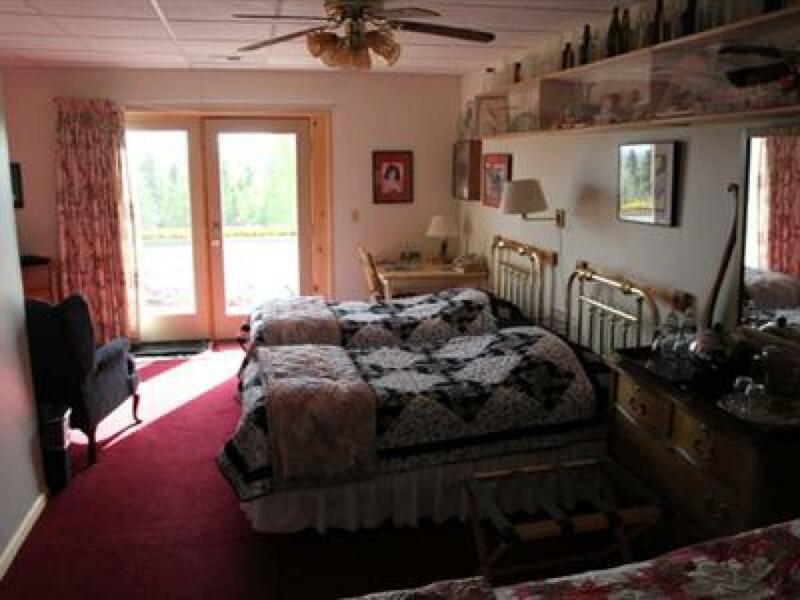 It is an absolute favorite among visitors and is among the most unique lodging in Fairbanks. 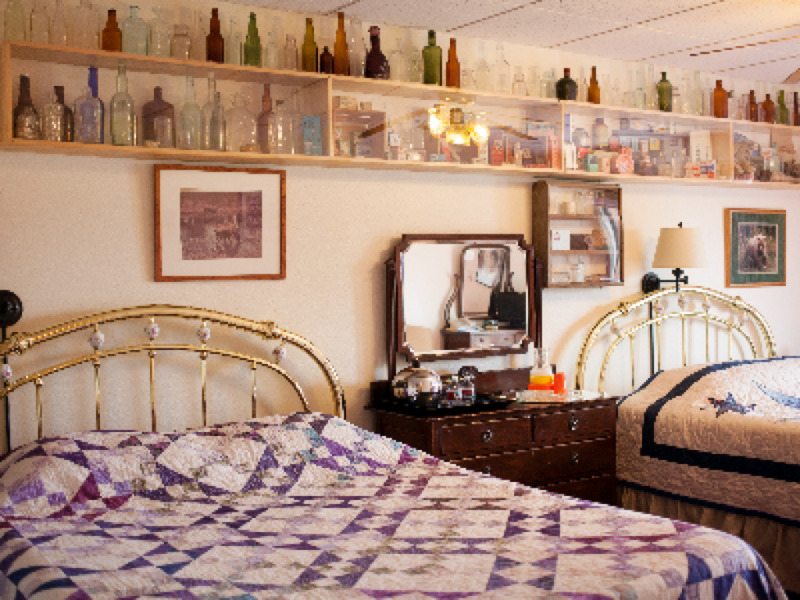 The house is complete with handmade quilts, interesting antiques and collectibles, and a rich history. 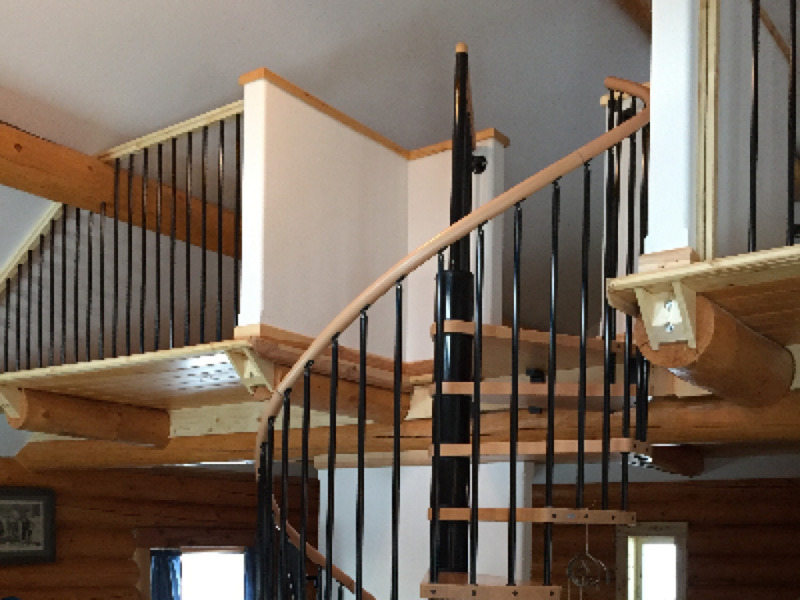 The Spruce House was added to A Taste of Alaska Lodge in 2015 and features some modern style, complete with an open spiral staircase in the living area. 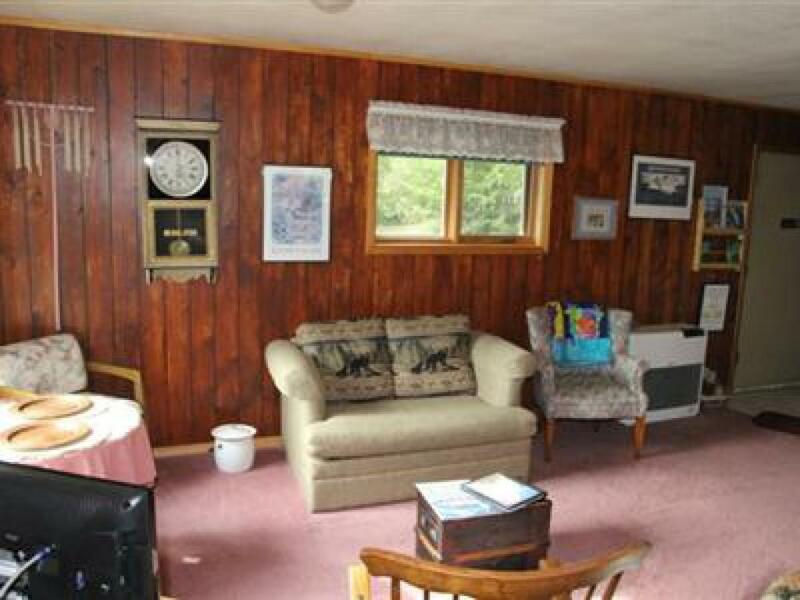 It has a spacious, wrap-around deck for summer enjoyment or aurora borealis viewing in winter. 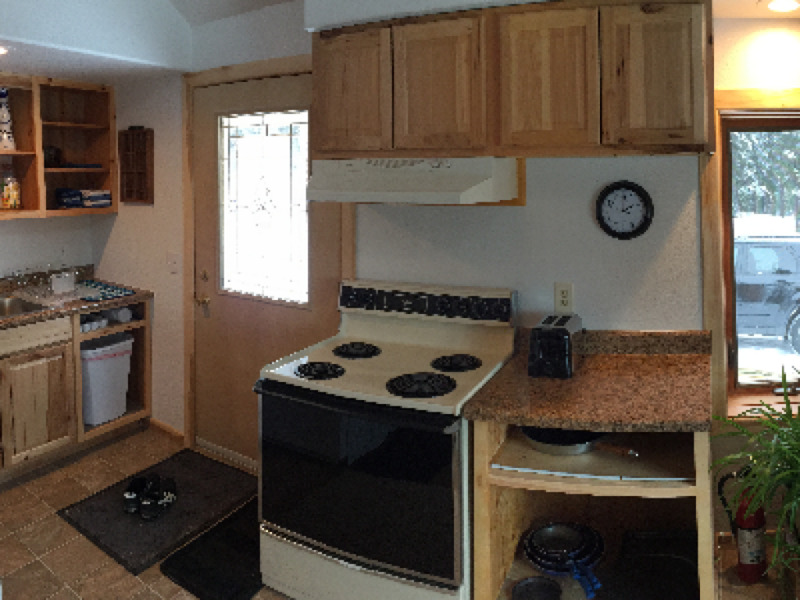 The house features a full kitchen for cooking and a comfortable living area. 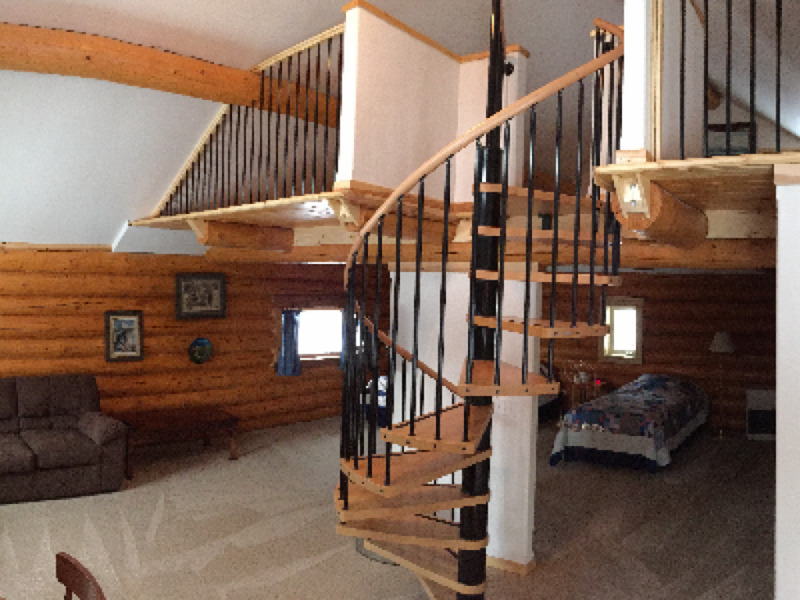 It is perfect for a group of four guests or a family, with a queen and twin bed on the first floor and a half loft at the top of the spiral staircase with a second queen bed. 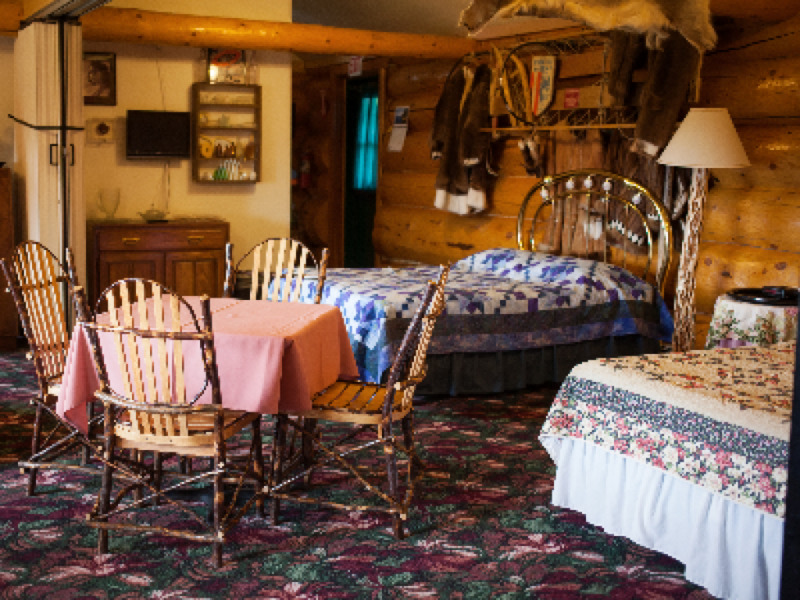 The Spruce House is located just 300 feet from the Main Lodge. 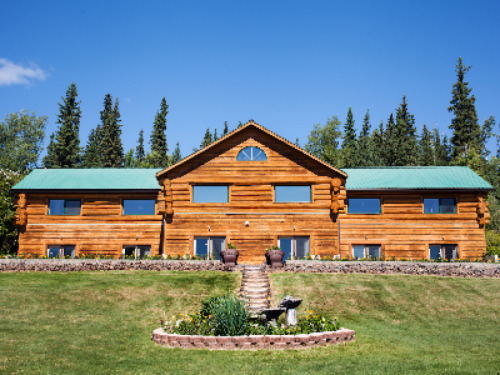 A Taste of Alaska Lodge sits on 280 acres of land that is drenched in natural beauty and family history, which spans three generations. It is a place unique to any other lodging in Fairbanks Alaska, and is a treat for anyone looking for a true Alaskan experience. Visitors who dream of experiencing true Alaskan winter activities will have opportunities for dog mushing, winter hiking, snowshoeing and Aurora Borealis viewing. 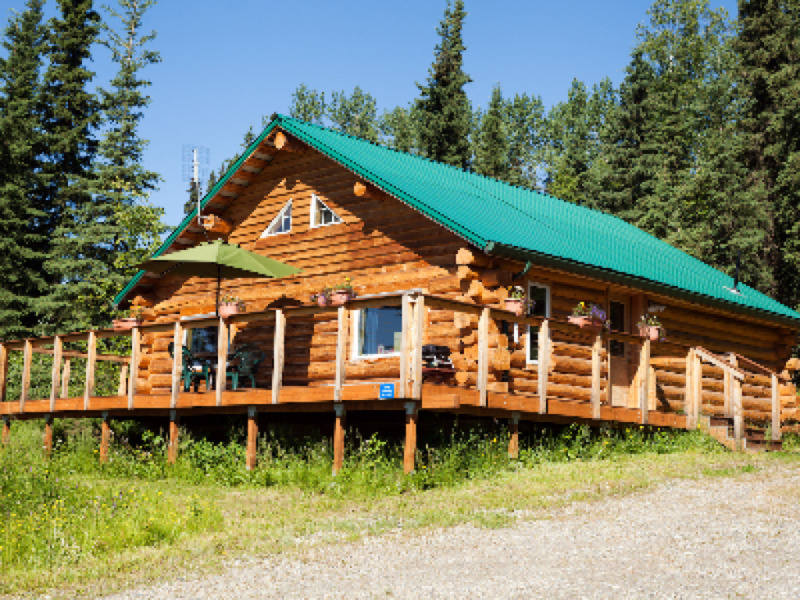 Summertime in Fairbanks, Alaska offers endless opportunities for adventure with its midnight sun. 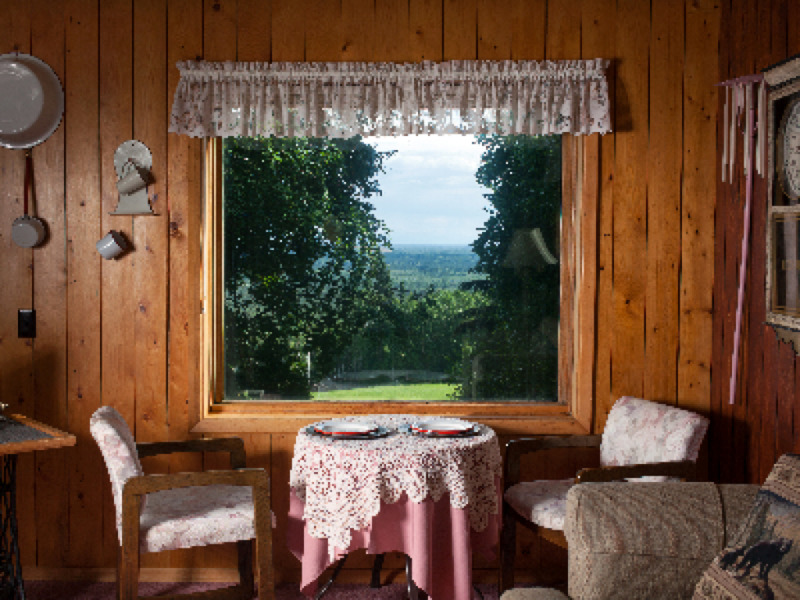 Visitors will enjoy hiking or lounging around the property and wildlife sightings. 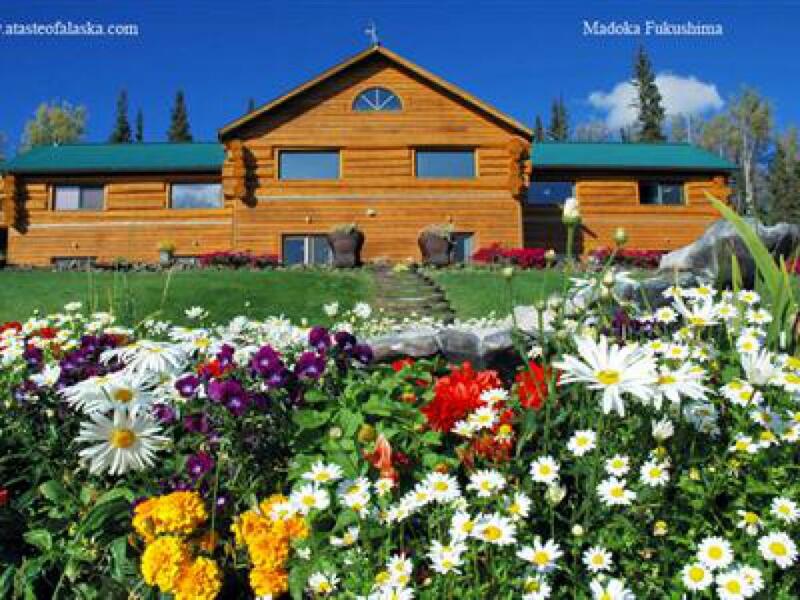 This lodge is a one-of-a-kind alternative to Fairbanks hotels, offering views of the Alaska Range, Mt. Denali, and Fairbanks in the distance. 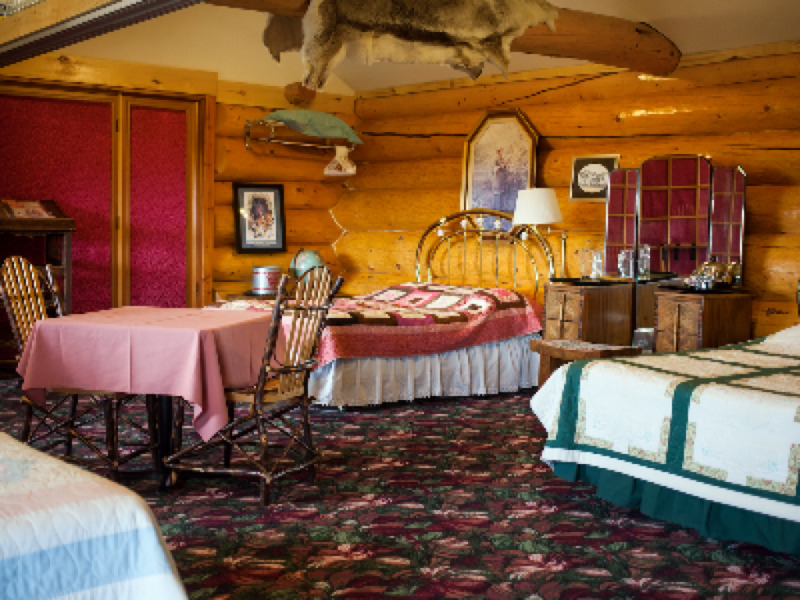 Visitors will get a first-hand look at Alaska’s natural beauty, including northern lights in the winter and wildlife year-round, all while enjoying the comforts and conveniences of cozy lodging. 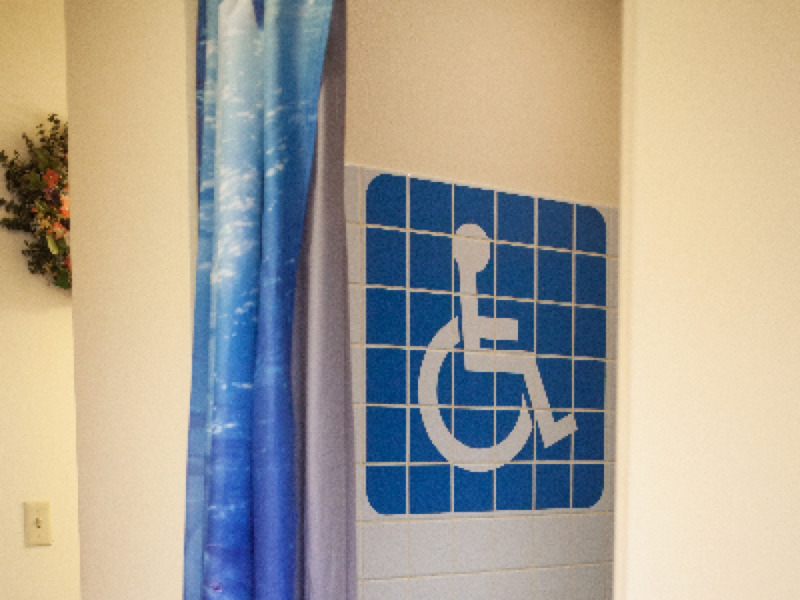 Our Accessible Suite is ADA aproved.